Petal Power comes in 4 sizes - 4", 6", 8" and 12" diameter flowers. 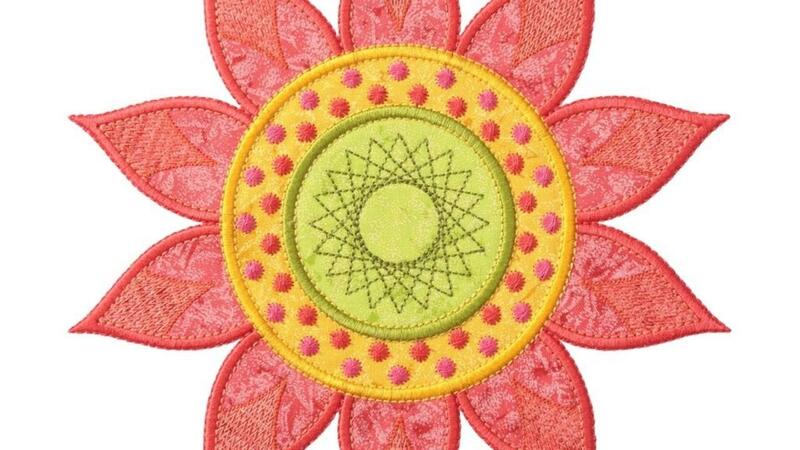 Embroidered appliqué designs to create 6 different flowers, with 5, 6, 7, 8, 9 and 10 petals per flower. You will need a hoop that is at least 200mm wide and 205mm long to stitch the Petal Power 8i flowers in 1 hooping. You will need a hoop that is at least 135mm wide and 205mm long to stitch the Petal Power 8i: 5, 6, 7, 8 and 9 petal flowers in 2 hoopings. You will need a hoop that is at least 147mm wide and 205mm long to stitch the Petal Power 8i 10 petal flower in 2 hoopings.